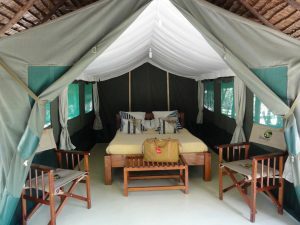 3Days/2Nights Road Trip to Masai Mara Game Reserve. This is a special package valid from 1st July ’18 – 30th September ’18. 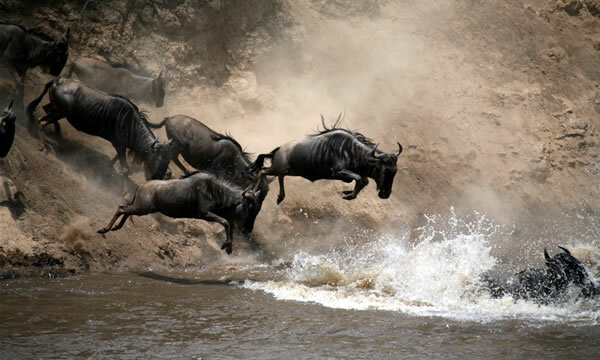 During this time Maasai Mara plays host to one of the most spectacular wildlife shows on earth the great annual migration of over a million wildebeest and zebra as they enter the Mara ecosystem from Serengeti in neighbouring Tanzania. All members of the "Big Five" are found in the Masai Mara, although the population of black rhinoceros is severely threatened, with a population of only 37 recorded in 2000. Hippopotami are found in large groups in the Masai Mara and Talek rivers. Cheetah are also found, although their numbers are also threatened, chiefly due to tourist disruption of their daytime hunting. As mentioned above, the plains between the Mara river and the Esoit Oloololo Escarpment are probably the best area for game viewing, in particular regarding lion and cheetah. This day will be your last day on Safari. After breakfast, enjoy the last views and depart for Nairobi. Drop Off will be in Nairobi hotel/Airport.